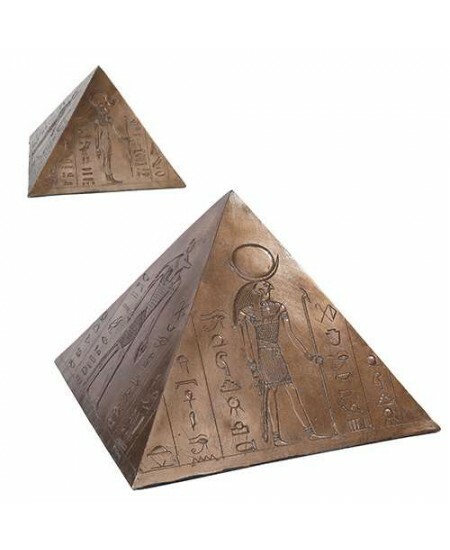 Send your loved ones to the next life Egyptian style in this lovely pyramid funeral urn. 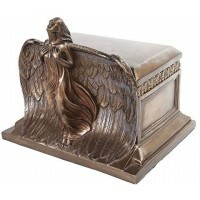 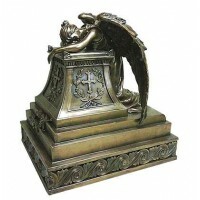 Beautifully sculpted and detailed statue in cold cast bronze resin keepsake funeral urn is 7 1/4 inches high. 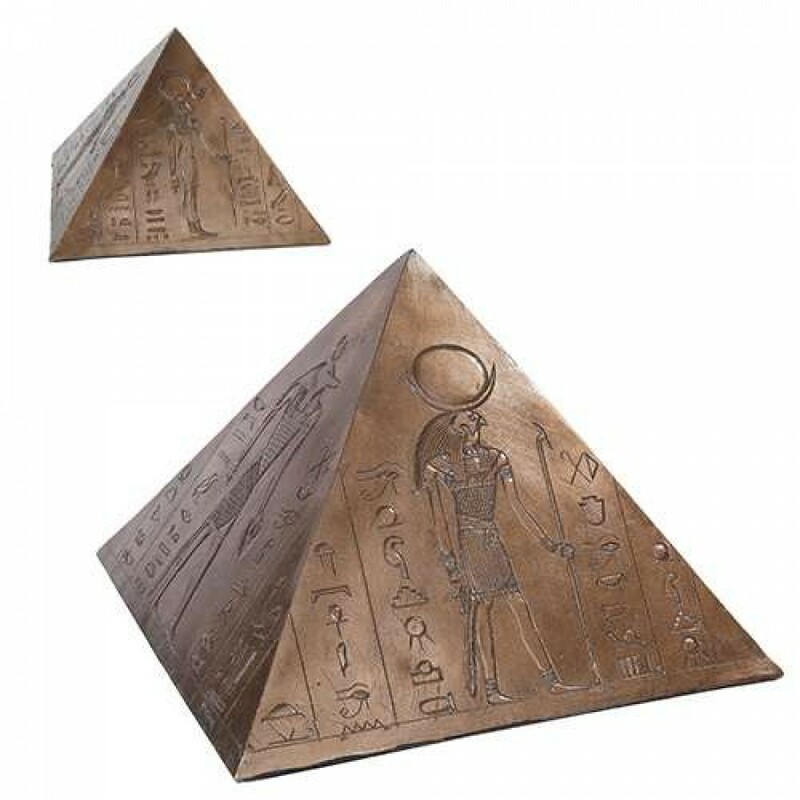 It is inscribed with the Egyptian Gods and hieroglyphics on each side. 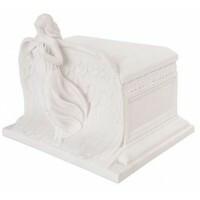 Item Number: PT-10508 | Approximate Size (Inches): 10.00 wide x 10.00 deep x 7.25 high | Approximate Shipping Weight: 6.00 lbs. 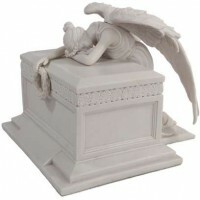 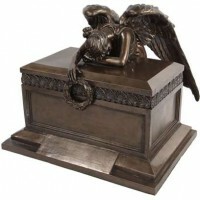 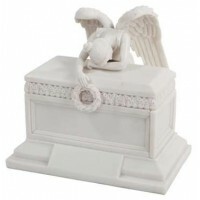 Beautifully sculpted and detailed statue in cold cast bronze resin funeral .. 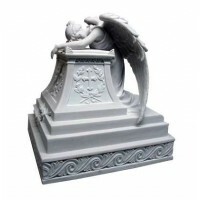 Beautifully sculpted and detailed statue in cold cast resin funeral urn is ..